Aoife studied Modern History at Oxford University. She is still based in Oxford. She loves children’s books and her shelves are coming down with childhood favourites which her three offspring would definitely appreciate if only they would sit still long enough to listen. 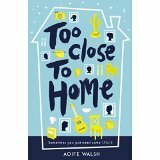 Aoife lives in oxford with her husband and three children. She likes cooking, quizzes (when she knows the answers), reading and top-notch American TV. And, of course, cakes and fine wines. 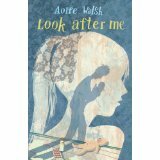 Find Aoife on Twitter @AoifeMPWalsh. Too Close To Home: Meet Minny: her life is a complicated whirlwind of unbearable PE lessons, annoying friends and impossible-to-live-with siblings. Minny is desperate for some space in a house spilling over with family and hangers-on. She has to contend with her autistic sister Aisling’s school bullies, whilst trying to keep her self-absorbed BFF Penny happy, and look normal in front of new boy Franklin. And on top of this, now Dad has announced that he’s returning to London – with his new girlfriend.